Laying out parking lots can easily become one of the most tedious aspects of laying out a new site. It seems like we are always trying to maximize the amount of parking for a given area (though this might be slightly more relevant in the United States). Doing this in AutoCAD is less painful with the right tricks, but it is still a long and error-prone process. 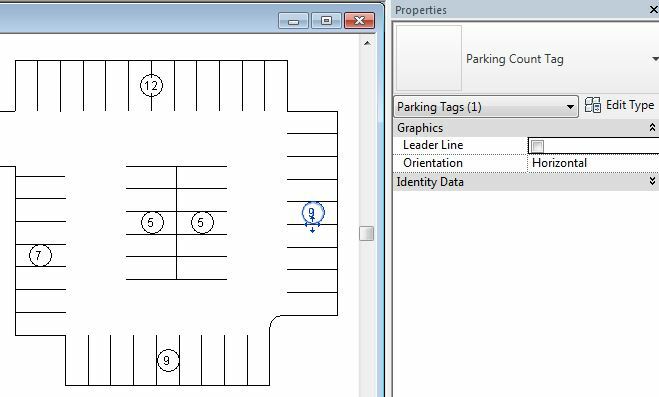 In Revit, laying out parking is not only faster and easier, but you can also make various design options, get schedules for each option, and automatically tag each bay by count. But Parking in Revit still has its own issues. No loadable family has the capability to drape on Topo or Floors. This results in parking often either floating or half embedded in Topo. 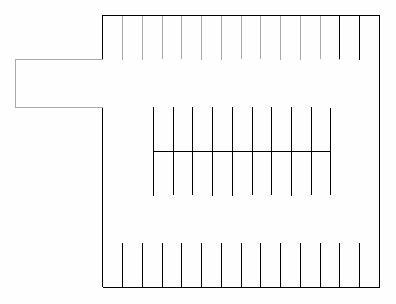 So for initial parking layouts, I prefer to work on a flat surface. I also use Parking Bay families, instead of individual parking spaces, which allow for changes in layout to be implement much more quickly. 1. Share the Nested Parking. In the individual space family, make sure Shared is checked at the bottom of the Family Category and Parameters. This will now “Share” the nested family when loaded into a project, and thus allow it to be scheduled. 2. Filter for Nested Parking Only. Also in the individual space family, set a parameter that you can use to filter. Here, I use the Assembly Code for Painted Lines and Markings. Then load the individual space into the Parking Bay family (and then load the bay into the project). In the Parking Schedule, set the Filter to look for the correct parameter. Now the schedule will only count the individual, nested parking spaces and not the Parking Bay family. 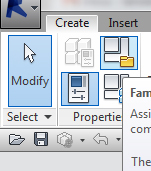 Design Options is one of the ways that you can create multiple options for the same space within Revit. In AutoCAD it is common practice to just create stuff off to the side or even create a separate file. This is much less feasible when working in Revit, so despite the extra effort it takes to manage Design Options, it is far preferable to stuff floating in space or multiple, divergent files. Once an Option Set has been created, all schedules will now have Visibility/Graphics Overrides at the top of their Properties. Edit… to change the Set and Option for the schedule. Design Options will also appear in all view Visibility/Graphic Overrides. 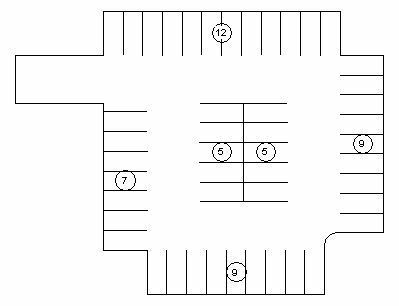 Parking Layout Plans (or sometimes Site Layout Plans) will often have nice little space counts within each bay. These make it more manageable to keep track of the overall count and can be done in Revit with a quick and simple Parking Tag. Just make sure you are using the same Shared Parameter in both the Family and the Tag. 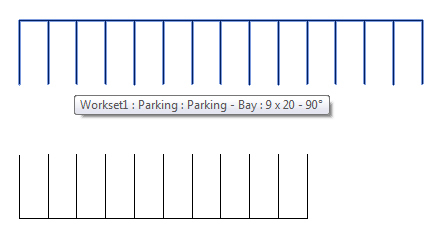 Have you considered SITEOPS as an option to augment Revit’s parking layout capability? I know it works with AutoCAD but I’m not sure if it does with Revit. SITEOPS is a separate program, so it can be used with AutoCAD or Revit. It has some pretty good parking capabilities, though you must be within their program to utilize the tools. It is good for initial layouts, if you have access to it. But for those who do not, Revit can be used to create similar, if less powerful, parking layouts. Hope this isn’t a silly question but where do I get one of these “nested Parking families” ? Or alternatively can you do a blog post on how to create on? Simple, just load any family within another family, and if it gets marked like it’s shown in the post, you’ll get a nested family, difference being it can be scheduled like it was loaded alone, not embeded.